CHICAGO (WLS) -- A new garden that pays tribute to veterans has opened at Shedd Aquarium. Veterans helped plant a new garden Thursday on the north lawn of the aquarium. 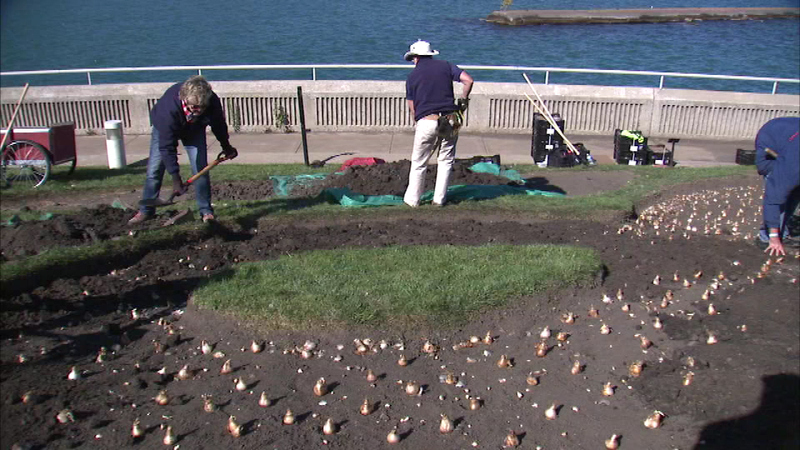 The veterans worked alongside the Shedd's horticulture team to prepare the soil and begin planting 30,000 bulbs that will bloom in the spring. The garden also honors gold star mothers.